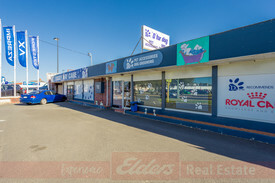 389 Commercial Real Estate and Properties in South Western Wa are listed in 9 categories. We have 131 Industrial Warehouses for Sale & Lease , 99 Retail Shops for Sale & Lease , 75 Development Lands for Sale & Lease , 53 Offices for Sale & Lease , 12 Other Commercial Properties for Sale & Lease and 11 Hotels and Leisure for Sale & Lease . 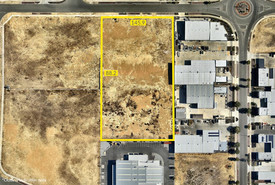 Industrial Property For Lease Priced From $24,000.00 pa.. Warehouse Offices In Sought After Location Priced From $36,000.00 pa.. 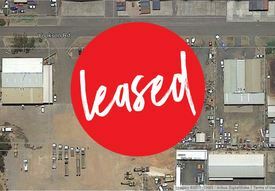 Priced from $36,000.00 pa +++ Outgoings $7,536.00 pa Floor Space 293m2 (approx) Available 24th March This property represents true value Large clean warehouse space Offices with Kitchenette Bathroom Facilities All services connected Large 4.5m roller door Dedicated on site parking Do yourself a favour come and inspect today, it won't disappoint. Don't let this one pass you by if you are looking to invest in your future. Situated on a 2605m2 parcel of land with a substantial brick office building, with approximately 540m of floor space. The premises have been maintained to a high standard, and we offer a great investment opportunity with benefits which include the following: Secure lease with a Government Department. New Iron roof fitted in 2019. Sealed Carpark at the rear of the building Quality fixtures and fittings throughout Generous sized staff/lunch room and excellent kitchen facilities 10 Private Offices, Store Room, Photocopy Room and Duty Room Make the most of this opportunity and let your investment take care of itself. 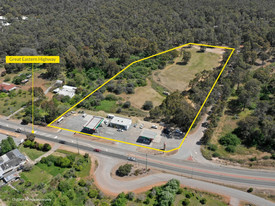 Picton - For Lease Priced From $30,000.00 pa..
15 Yookson Road, Picton WA 6229 $30,000.00 PA +++ Located in the Picton Industrial Zone only a short drive to the South West Hwy Forrest Hwy. 15 mins drive to Bunbury the Bussell Hwy. This property consists of one main shed / workshop, separate office / reception building with hardstand throughout all fully fenced secure. Picton acts as the conduit between all three southern freeway systems, which makes this property extremely sought after in a logistics perspective. 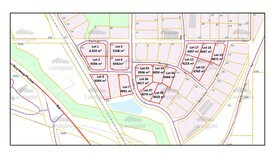 Land Area 2,159m2 (approx.) Zoning Industrial Shed 350m2 (approx.) Office / Reception 70m2 (approx.) Available Now Lease Term Long Lease considered. Competitively priced for the quality, size convenience offered. Call me today to secure your Businessâs future. 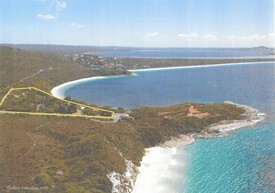 Busselton, A Great Place To Live, Work And Invest!!! $683,500+Stock approx $65.. Imagine working in one of Western Australia's most beautiful and progressive towns. Busselton is one of the top tourism destinations in the State. It is located on the pristine waters of Geograghe Bay and is the gateway to the beautiful vineyards and exquisite environment that is synonymous with the magnificent Cape to Cape region. The Business $83,500 + stock of approximately $65,000 Profitable opportunity An opportunity has become available to purchase Direct Salvage Supplies This well established business is suited to a hands entrepreneurial person or couple. 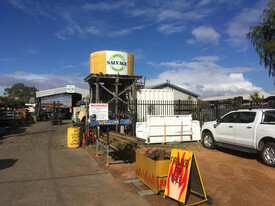 The profitable business has operated in the Busselton district for over 20 years and as such is well cemented and known throughout the Busselton region. Boasting good stock turnover, Direct Salvage Supplies is often the first place people look for building materials from years gone by, whether it is a jarrah timber window frame or an elusive roof tile, chances are Direct salvage supplies have it or can source it for you. The Freehold Property $600,000. An attractive investment. 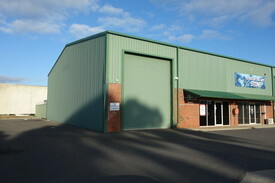 20 Fairlawn Road is situated in the heartland of the Busselton Light Industrial area. It is located around the corner from some big name stores such as BCF, Total Eden, City Markets and Bunnings. The 1417m2 property has considerable established infrastructure that includes approximately 520m2 of buildings. The yard is cement paved and has sound security fencing. The business and property are being offered for sale preferably as a complete package, but consideration may be given to selling the property separately. If you are looking for a business and freehold property in a vibrant community then this is an investment that is well worth investigating. Please call or email me to register your interest. 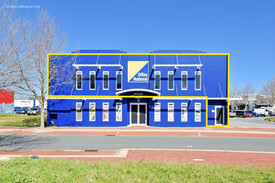 Commercial For Lease - Australind Lia PRICED FROM $25,200.00 pa.. Rent $25,200.00 pa +++ Outgoings $$5,500.00 (approx) Land Area 1,057m2 Floor Space 392m2 (approx) Office / Reception 4 x desks (7m2 x 5m2) Kitchen fully stocked including fridge Ladies Bathroom Warehouse 350m2 (approx) Mens Bathroom + Shower Mezzanine Storage Area Office (airconditioned) ground floor 1st Floor 3 Phase Power 32 amps 2 x Sliding Doors + PA Door Large Hard Stand area Secure Lot in complex of 3 Owner will store his caravan on site out of the way AVAILABLE NOW !!! 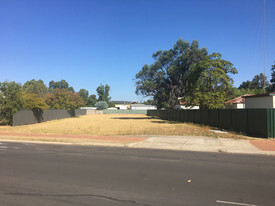 Substantial Residential Development Site 142.864 Ha (353 Ac) Expressions of Interest C..
15 locations with 13 certificates of title that form two separated sites being 142.864 hectares. 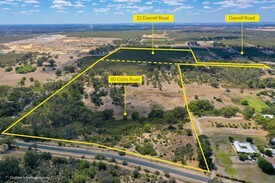 The land holding is only 1 kilometre from Boyanup's town centre and approximately 22 kilometres from the City of Bunbury. Boyanup is home to the renowned and well established monthly Farmers' Market and to the weekly cattle sales at the Boyanup Sale Yards. Boyanup caters for the surrounding agricultural area, providing schooling and retail facilities. The Capel Shire has an area of approximately 550 square kilometres with approximately 28 kilometres of pristine coastline on Geographe Bay, as well as native forests on the Whicher and Darling scarps. The Boyanup East Local Structure Plan (LSP) has been fully endorsed and approved by Western Australian Planning Commission. The Capel Shire will require an Outline Development Plan (ODP) prior to submitting a subdivision plan as the site sits within a development contribution plan area. The opportunity to create rural residential lots (R2.5) in keeping with the ambience of Boyanup rather than R30 residential lots. For Sale by Expressions of Interest (EOI)closing 29th March 2019 Contact Noel Jones on 0418 932 438 or Patrick Williams on 0407 990 886. Central Business Commercial Location Offer Over $360,000 (if a..
Smack bang in the middle of the Capel Townsite. Why rent when you can own the property? Buy yourself commercial premises at a reasonable price. 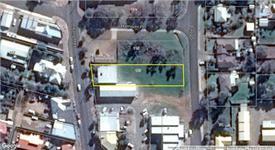 Positioned in the heart of the Capel townsite affords this commercial property high exposure. The property is ideally suited but not limited to a trade based business. In the past the property has operated as a fuel station and mechanical workshop. Comprising 2236m2 of land area with approximately 650m2 of constructed building means that this property could be easily adapted to a variety of applications. The property features bull; Shop/office/retail area. 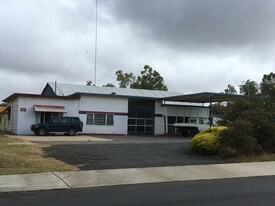 bull; Spacious workshop bull; Living quarters bull; Ablution block bull; Ample car parking bull; Dual assess to Capel Drive providing for convenient traffic flow. This property enjoys a great location in a vibrant town and is advertised for sale at a reasonable asking price. Call Patrick Williams on 0407990886 or email patrick.williams@elders.com.au to arrange a viewing. Exposure In Kojonup Priced From $700.00 per m..